A longtime member of the Oakland Buddhist Church’s Momijikai, a young Nancy Yamamoto had aspirations to become a fashion designer and learn from the best in Chicago or New York (where she would eventually go). Her love of style is obvious by the meticulous way she’s put together, accessorized with dramatic earrings and rings. She makes all of her clothes and only wears skirts or dresses, as too many memories of farming as a child left her feeling bitter about wearing pants. Nancy never did attend fashion school in those faraway cities: Her family was rounded up into Tule Lake just as she was graduating. Nancy started our talk by telling me about a Japanese American who recently asked her an alarming question: Aren’t you embarrassed to have been in Tule Lake? One day there was this strange Japanese-American fellow and sadly I don’t even remember who he was nor do I remember even looking at him because he came up behind me and made a weird comment which was: Why did you stay in Tule Lake? My answer to the question was, the Government put us in here. Later, I heard others were asked the same question. They could not recall who the fellow was either. 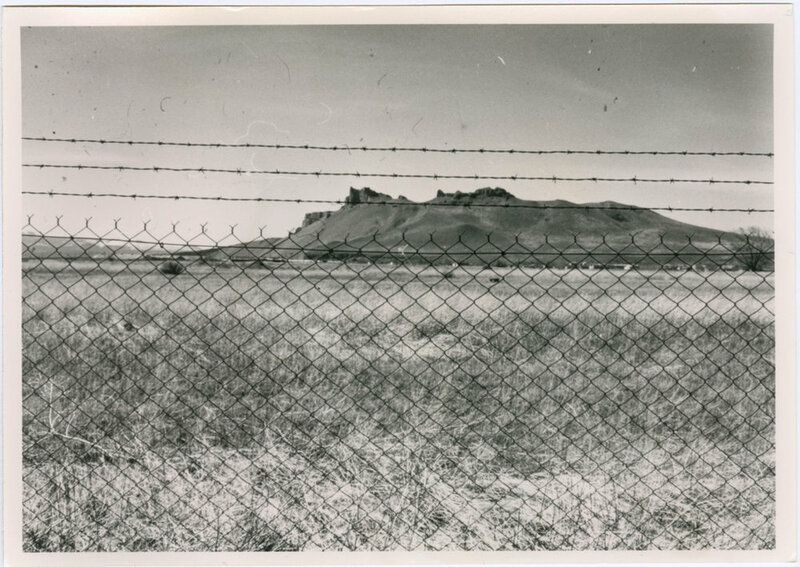 He may have asked because when the no/no boys were coming into Tule, the camp was designation as a segregation camp. These were the no/no boys and anyone who was pro-Japanese. Many families left Tule and went into the other camps. My mother was not about to move elsewhere. She wanted to go back home but the WRA had not authorized the families to return back to our homes as yet. If our dad was still around things may have been different but for a woman who did not speak English, I know it was hard to do anything, so we all stayed put till the word “go” was spoken and why would our being in Tule Lake be of concern to others? As for the no/no people coming in to Tule goes, it was a huge camp. They did there own things and we minded our own business. I think about that mystery man periodically but it all took place over 75 years ago. By now, many, many Tule residents are gone and yet we can remember quite vividly events which took place so many years ago. The five of us lived in a five sheet rocks room which had a round coal burning stove and five cots. As I am sure everyone else did the same, we portioned off the sleeping section from the living area and the so-called tiny kitchen section. We were never in the barracks during the day as it was either school or work time during the day. It was a place to come to sleep. The food in the mess halls were nothing to brag about. No meat in our stews except potatoes, a tiny bit of veggies and a tiny piece of mutton with rice which was our staple. Surprisingly we all seemed to stay fairly healthy despite the horrible meals. If one was fortunate enough to have an experienced cook, he made many dishes by utilizing the ingredients which the kitchen received. But if your cook was a former farmer who had never been in a kitchen before, need I say anything more? How old were you when you went into camp? I think I was around 19. I was born and raised on a fruit farm in Loomis, situated at the time an hour drive north of Sacramento, California. I started kindergarten at age four, then to eight years of grammar school and we were bused up to Auburn, CA for the four years of high school. There was also a junior college and I toyed with the idea of attending classes there but my interest was in fashion design, so I ended up going to the city. I wanted to try UC Berkeley but costs were involved and discrimination was rampant in the area and it was a question of jobs. Our people had only a limited amount of jobs to choose from during that period. Now one is able to choose a variety of employment. Of course, attending an out-of-town school meant much additional expenses, mainly the living portion. Many of the students at our fashion school lived in family homes where we were asked to do some minimal work for the room and board and the $15 pay we received. With myself, I stayed at a doctor’s home with two children. In the morning I washed a set of diapers and hung them outside to dry. Dryers were non-existent. Then I made and ate my breakfast, made lunch and went off to school via the streetcar. Returning home I took down the diapers, folded them and put them in the drawers. After dinner it was clean up time. With the $15 per month we were able to subsist. We even took in a movie at times. We were even able to buy yardage and other school necessities. The family sent the tuition each month and at times we were hoping for an extra dollar but none came. If one gal finished school and she was going to move elsewhere, if she had a friend that wanted to come, she would introduce them to the family. Some families were very nice, others didn’t care for us. Why would they let the Japanese stay in their homes, if some of them weren’t friendly to you? The reason for hiring school girls in these homes was because they did not need full timers or live-in help. The cost would be quite expensive and maybe all they wanted was someone to wash the dinner dishes. Also, they probably had house cleaners who came by periodically. When the schoolgirls left they would usually refer their friends to the owners. Of course, in my case I did not worry about finding a replacement due to the war. The families who hired us were usually quite nice and always made us feel at home. So your families were nice to you? Well one was a doctor’s family and they were very nice people. I often wonder what happened to them. When the war broke out, the doctor was transferred to Washington state. So that left me with a family that came in renting the place. A Navy family. And they were really, really anti-Japanese. You know, Navy. Japan bombed the U.S Navy in Pearl Harbor. It was an elderly couple and they had a young boy. Sassy, sassy boy. So those were hard times. Once I was home for a girls’ meeting and I was intending to take the train back to San Francisco on Monday morning. They [the train station] wouldn’t allow me to get on the train, they wouldn’t sell me a ticket. I think I can still picture him. I said, ‘Why not?’ He said, ‘Your country started a war against us.’ And I said, ‘That’s not my country. I said I’m an American born, Japanese American’. He said, ‘Doesn’t make any difference, can’t sell you a ticket. If you want a ticket, go to a lawyer and have them write up a birth certificate for you.’ You know we had to have proof. And so I called my friends and they happened to be home and they took me to the lawyer’s office. And as I talk about this recently, I completely forgot to pay them the lawyer’s fee. After all these years I didn’t even offer to pay them, they’re both gone now. But anyway, that didn’t do any good. After a few days at home I met some fellows planning on going through the major cities thereby eliminating having to cross over the Bay Bridge to pick up their sisters who were employed in SF. That is how I was able to return to the city to continue with my studies. So at the bridge crossing, they would have stopped you? Oh yeah, they wouldn’t have let us cross. We were enemy aliens, regardless of being American citizens. So then, they dropped me off and I finished my school. The principal was very thoughtful. She says, ‘I’m giving you girls your diploma because without a diploma, trying to get a job would be very hard.’ So she gave us our diplomas. When we entered camp, it was in the spring, I was not quite 19 years old. In the prior years we heard rumblings of war and of course we were not happy to listen to these talks. In class one day, we were discussing the situation and this girl named Virginia, a rather tall Caucasian gal was in our midst and someone said something to the effect, ‘If war breaks out the Japanese citizens would be incarcerated in various camps.’ I said, ‘They can’t do that, we are American citizens.’ Virginia, usually a quiet girl blurted out, ‘The government can do anything they want to.’ No one said a word. I guess she was correct. I still think of that conversation today. The way she said it must have had a great impact on me. Strange isn’t it? We had not settled into our temporary housing when the administration sent everyone some very unpleasant papers questioning our loyalty to the United States or Japan. It was so disgusting when they completely uprooted us from our comfortable homes, living a decent life, to ask us if we pledge loyalty to the United States or would we pledge our support for the Japanese Emperor. Both the men and women were requested to sign the questionnaire. It was another time of turmoil for all the families. The Issei parents were telling their boys in particular to answer no/no, but the fellows had other thoughts. It was a time of much turmoil. So we were stuck in Tule Lake. And when the no/no boys came we were really stuck there. The thing is, they might have created a lot of dissension but they didn’t bother us. It was a huge, huge city. And we wouldn’t go this way, or that way daily, unless we had to go see somebody. We had a bunch of friends around our way which was about two wards down. And talk about wards. Each block had a kitchen, men’s bathroom, women’s bathroom, one recreation hall. The rest were barracks. And each ward consisted of nine blocks. Then they’d have this huge firebreak between these wards, in case of a fire so one wouldn’t transfer to the other. So it was a lot of walking because all we did was walk. And of course, nobody had cars. I was in Block 45. Did you try to continue with your fashion design in camp? When I first got into camp I said to my mother, ‘I want to go to Chicago or New York.’ That’s where the fashion industry was. Of course I didn’t have a penny with me. And my mother would have to give me the money. And she just put her foot down and she says, ‘Absolutely not.’ And I could tell that was her final, so it was no use prodding to let me go. So that’s why I was stuck in Tule Lake. Because you could have gone if you were able to get a job? If I had the right credentials. I couldn’t even apply because I couldn’t even go out. I had a mother who didn’t like me for one reason. And she was not going to do anything to help me. I had to help her. It was a hard situation. You know, you don’t want to create dissension because you don’t know how long you’re going to be in that camp. I know most of my friends stayed put. And most of them didn’t go to a school out of their hometown. I was shocked when my mother let me go to San Francisco, you know that big city with all the crime and all the bad boys. But I’m glad we went. I got a suitcase. Found out later on that it was a cardboard suitcase. But it held up, with all my back and forth, took me to camp and everything. Did you and your mother always have a strained relationship since you were young? I had to start working on the farm at five years of age. For some reason she didn’t like me. She ordered me around. But I was a good daughter, and I worked hard. It was a farm, so we went to school, came home, had to change clothes into pants, and had to get out into the field and work until it was dark. And it wasn’t only me, I talked to other friends who lived on a farm and this one girl just told me they had fruit and squash. So they had to get up in the wee hours of the morning and go pick squash. And you know, it’d be dewy, they’d be soaking wet, then had to quickly change and go to school. So there were people who had it worse than I did. I didn’t have to get up early in the morning. Saturdays, I had to work. Sundays, I had to work. My friends were playing, and this is why I never wore pants. I have a thing about pants. I enjoy wearing dresses and skirts. Everybody has their reasons for doing things. Now, when I think about it, I’m mad at Japan for creating this problem. Because the yes/yes, no/no question came up because of the war. It would never have come up before if things were okay. And I’m angry at them because they knew that they had family and relatives living in the United States and to create something like this, it’s just been really hard. And the more we talk about things, different things come up. And I do get annoyed. Do you have some of that same anger or resentment towards what the U.S. government did? ﻿Oh, definitely. I read the book The Train to Crystal City. And in it, some woman was interviewing those radicals who hated us so much and asking different questions in the back of the book. There was Earl Warren. He hated us. At one time he lived in Alameda. He hated us so much that, I never talked to him, I never knew him, but I feel like I did talk to him. The hate there was just something that I don’t think you folks could realize how awful. Franklin D. Roosevelt hated us. That’s why he signed that 9066 order. This hate and prejudice was so hard to take. What was the most shocking detail you learned from the book? The shocking thing was Franklin D. Roosevelt had a reason for picking these people up. He probably realized they were going to have to do enemy exchange with Japan and Germany. And so they built that Crystal City, so if my dad were around and I was in Tule Lake, then they’d pick us up from Tule Lake and take us to Crystal City. Then the father or husband would come and join the family from wherever they were. It was an exchange thing, which opened my eyes. So they’re bringing 500 politicians back from Japan and they had to exchange with 500 Japanese from here. I think the parents didn’t mind, the way they treat us we might as well go, it’s a free ride [back to Japan]. It was the Niseis that didn’t want to go. And you know Japan was at war, they had nothing to eat. And I don’t think the people here realized how serious the food problem was. They were eating yam, morning, noon and night. Just thinking about it makes me sick. I love yam but not to eat even twice a day. Did you notice arguing and fighting between people in camp? That’s another thing. Partway through the war they shipped people from different camps who were loyal to Japan and so it gave Tule Lake a bad name. But I was telling someone that the camp was so huge, it wasn’t like my neighbor next door was fighting a side. And we were in a section where we were just quiet people. We used to see the young fellows with the hachimaki, they’d go running up and down the main roads, ‘Wasshoi, wasshoi.’ But they never bothered us. I thought Tule Lake was just a handful of that certain group. They never did anything in our area. In fact, they had their 5 a.m. exercise in the fire break in front of our barrack, in loud voices. So I got up at 5:00 too and exercised with them. My family’s sound asleep. So when we’d finish, I’d go and get a bucket of water and mop the floor for the day. I just couldn’t stay sleeping. I never heard of anyone getting sick with the flu or cold. None of us ever got sick. It was amazing, when I think about it. Were there ever times it was enjoyable, or fun? If you put it that way, I don’t know if you’d say it was a fun time. Sometimes we did farming, we’d go up to the mountain and sketch. They fed us, I mean we had a place to sleep. And one whole block used the women’s bathroom, those were not satisfactory. There are three in a row, three facing each other. I remember each time I went to take a shower, there was a little girl, she’d go with her mother and she’d just stand and she’d stare because we’re facing each other, there’s no door. And she would just stare at me. And I’d just say ‘Turn around, turn around,’ and she’d just stare all the more. [laughs].